Body Lotion with a wonderful aroma for well-being. 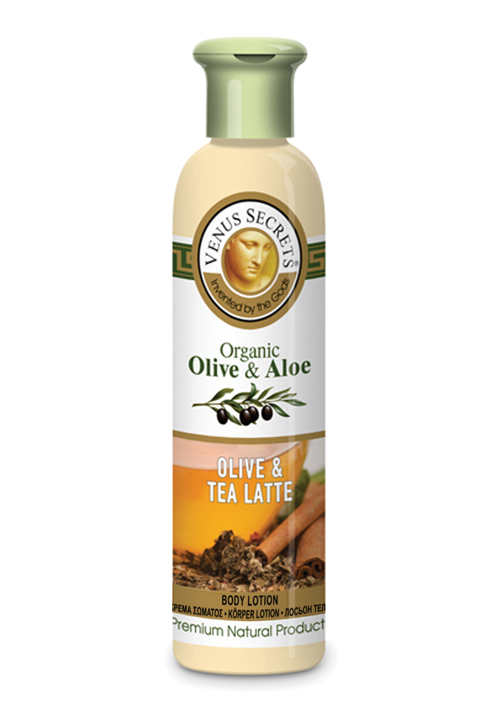 Lotion contains organic olive oil, organic aloe, natural organic extracts, oils and vitamins for hydration, smoothness and freshness. Relieves dry, irritated skin. This body lotion is easily absorbed into the skin. Not much is required to receive the benefits. Aqua,stearic acid, glycerin**, isopropyl myristate, caprylic/capric triglyceride, triethanolamine, cetearyl alcohol, sodium cetearyl sulfate,calendula officinalis**, prunus amygdalus dulcis oil**, hydrogenated C12-C18 triglycerides, allantoin**, glycine soja**, olea europaea*, camellia sinensis extract**, aloe (vera) barbadensis*, parfum, hexyl cinnamal, limonene, butylphenylmethylpropional, eugenol, linalool, coumarin, alpha-isomethyl ionone, butylene glycol, hydrolyzed milk protein**, polysorbate-20,PEG -20 glyceryl laurate, retinyl palmitate***, tocopherol***, linoleic acid***, theobroma cacao**, ocimum basilicum extract*, lavandula angustifolia extract*, carica papaya fruit extract**, rosa gallica extract*, rosa damascena oil*, alcohol, caprylyl glycol, phenoxyethanol, lyceum barbarum extract*, ethylhexylglycerin, punica granatum extract**, C.I. : 19140,16255. *organic **natural/vegetable origin ***vitamins No parabens, No silicones, No propylene glycol, No mineral oils, Not tested on animals. Clinically and dermatologically tested.